Structural Segment And Kits For Temporary Aluminum Truss Structures. When you’re displaying something you and your team have worked hard to accomplish, you want a truss display system that is sturdy, professional and customizable to your project. Our top-selling SQ-4114 9.84-Foot Straight Sections are dependable, making it a perfect option for your display booth, lighting, and sound support, or other structural needs. 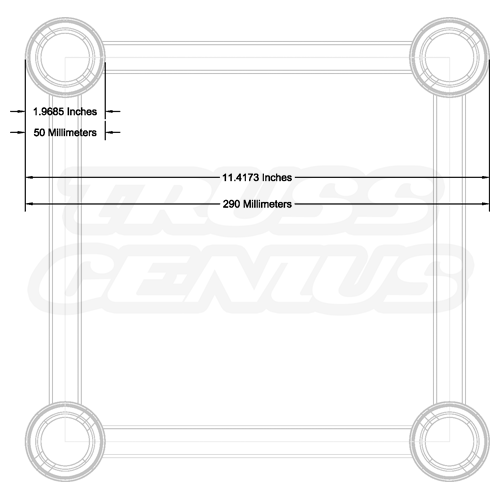 All of our trusses are designed to give you maximum flexibility. 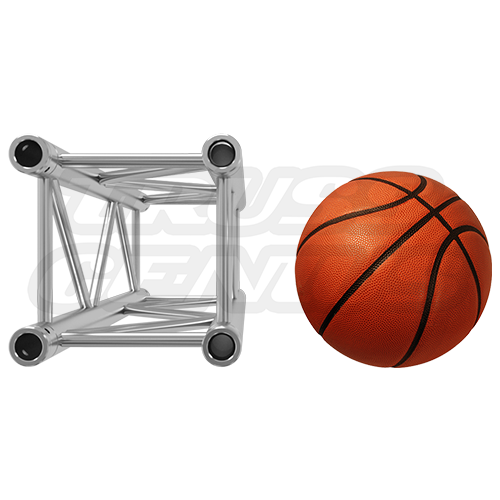 Because of their modular design, our truss systems are easy to transport, set up and take apart. You can also take advantage of this simplicity to adjust to unexpected changes quickly. 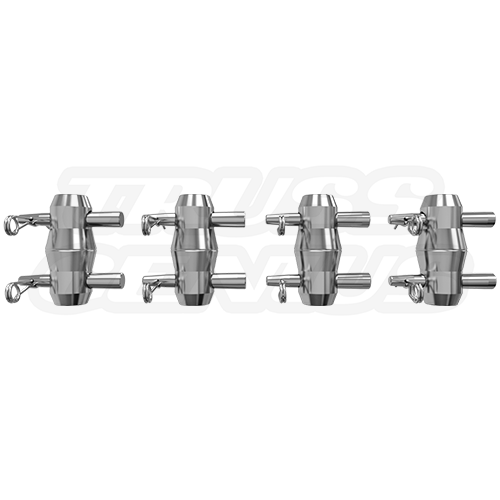 Best of all, our trusses work well with a variety of other parts, including Our line of 50mm 1.96″ – Clamps, which were designed with this truss series in mind. While we are careful to consider the visual effect of all of our truss booth systems, we also offer custom powder coat finishes upon request, so you don’t have to compromise on your aesthetic. 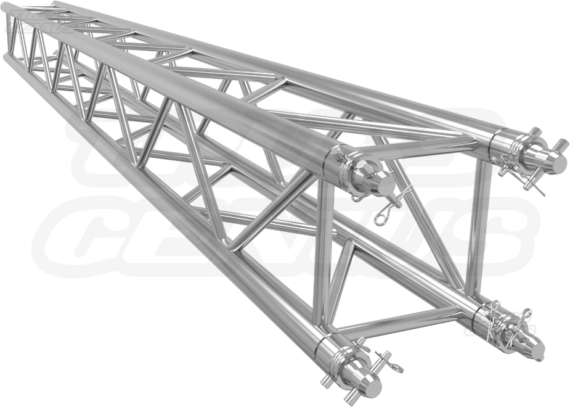 Each truss is made from aluminum alloy, weighs 42 pounds and is TUV certified. Assembling the trusses is easy and involves only a few parts: simply link each truss section with a coupler and tapered shear pin, then fasten each joint with a safety clip. Be sure to follow load capacity and handle the truss with care, preferably by those who are familiar with the equipment. Inspect it and do not use it if you find any damage. No matter the nature of your business, when creating a display, you want a product that will exceed your expectations. 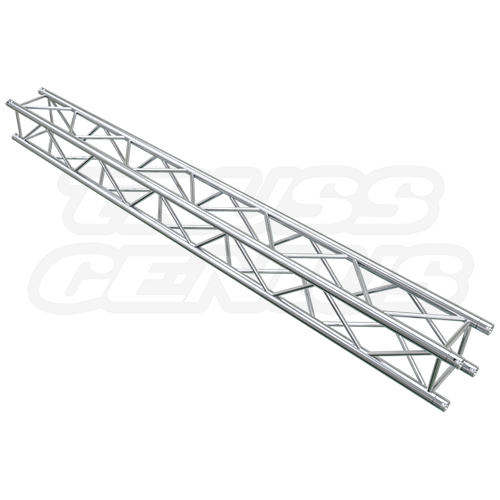 Whether you’re putting on a theatrical production, building a support for banners and other exhibits or mounting heavy equipment, this 10-Foot square aluminum truss can help you achieve the perfect setup. 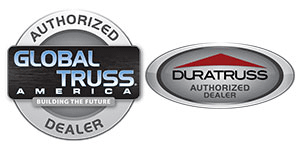 Order a system you can trust—buy one of our trusses today.